All the guys that have a scan tool (i.e. Auto Tap or Tech II etc.) have read over the knock retard column. Some of you have very low or non-existent numbers in that column - lucky dogs! The rest of us sit around and wonder what to do about it. When the computer gets a signal from the knock sensors that they are detecting engine knock, it lowers the advanced ignition timing which results in less horsepower. There are a number of things that will cause your car's knock sensors to report engine knock back to the computer. Bad gasoline is a very common cause and is the easiest to eliminate. So, we started our search at the gas pump. Jack ran his car until he was fixed on the "E" on the gas gauge in the dash. He then put four gallons of premium 93 octane gasoline in his tank. 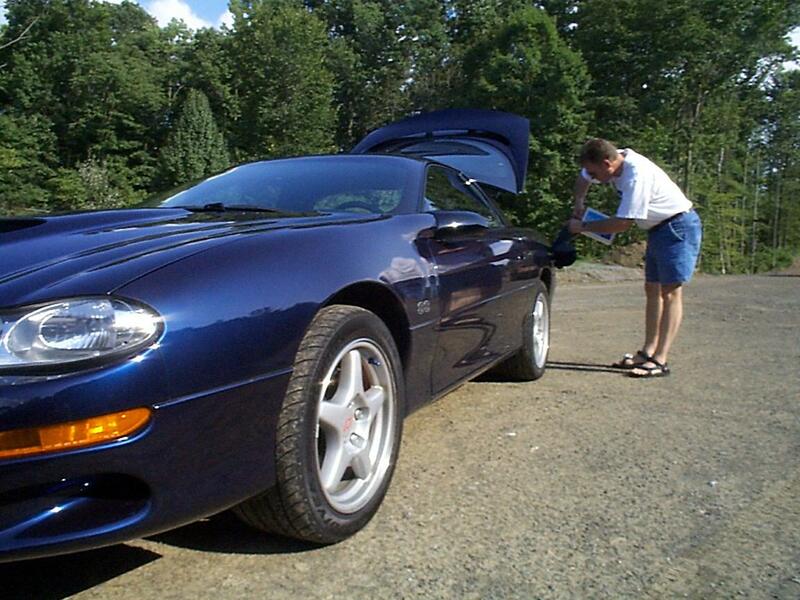 He put about 10 miles on the car on the way from the gas pumps to the meeting point. I jumped in and we were off. The first thing we did was log the conditions using Auto Tap before any Auto Tap logs were taken. The engine coolant temperature was between 198 °F and 206 °F. Intake air temperature was around 115 °F and hovered around that measurement. We started the test by making five Auto Tap runs. The log files showed that we had a problem with knock retard. Once first gear exceeded 4400 rpms the knock retard averaged 3.8 degree's. Five back to back Auto Tap runs confirmed our knock retard problem. 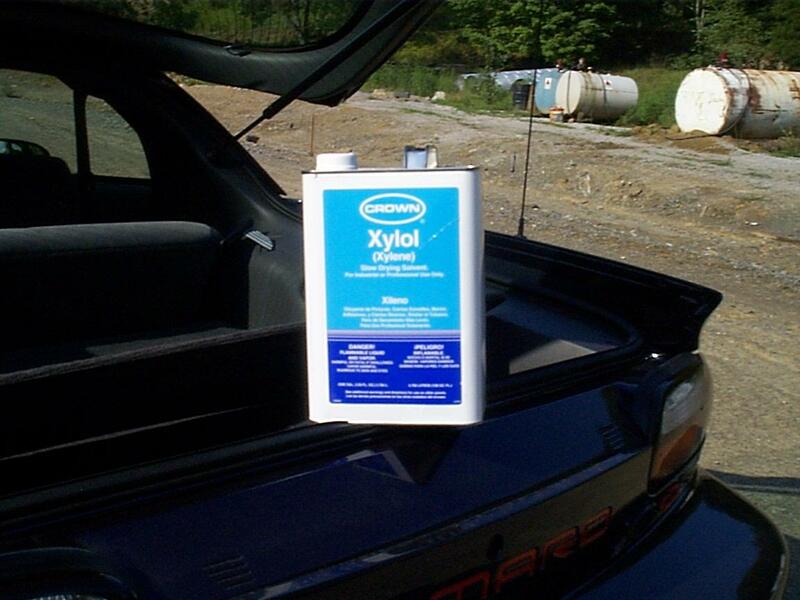 We read all the fuss on LS1.com about several members adding Xylene, a paint solvent, to their gas tanks to improve the octane rating. It didn't take my friend Jack long to hop on the tator wagon and give it a shot. When you decide to pour paint solvent in your gas tank on your 1998 1LE SS (one of three 1LE SS's in 1998), you have to have a friend there to watch you so he can testify to your ignorance. Who other than I to assist him in his possible fatal play with a hand grenade! We took some more readings using Auto Tap. The engine coolant temperature was between 198 °F and 206 °F. Intake air temperature was around 115 °F and hovered around that measurement. In addition, we logged the amount of gasoline in the tank. Auto Tap showed 3.9 gallons of gas before we added the Xylene and 4.9 gallons after we added the Xylene. This gave us a 1:4 ratio of Xylene to gasoline providing us with an approximate pump octane rating of 97.71. Wow, what a feeling of "no going back" after you pour a paint solvent down the hatch. He poured some water on the car where a few drops made contact with the Navy Blue Metallic paint and we were off. After the new addition to the gas tank, we drove around sloshing the tank by zigzagging and making a few short wide-open-throttle runs for a short bit. By the time we had made our fourth Auto Tap run with Xylene in the gas tank, we were below four gallons of gasoline. The knock retard numbers had not reduced at all. The same exact occurrence kept showing their ugly head. As soon as the car approached 4400 rpms, the knock retard values would go from zero to above three degrees seeing as high as four degrees. You can view two of the eight Auto Tap runs that were made. Run three was before Xylene was added to the gasoline tank and run seven was after Xylene was added to the gasoline tank. This proved to us that bad gasoline was not a cause for the knock retard problem. Sooo, back to the drawing board. Next week we will decide on the next course of action. 1. Special thanks to John (2quik4u) for telling me what the pump octane rating Xylene has.